This summer, I've decided to share "writing tips" on Tuesdays. Below is the first in a series of articles I wrote for CAN (Christian Writers Network). You can read more writing tips on their CAN Marketing blog. 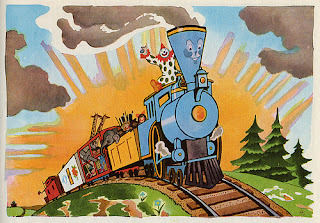 We all know the story of the little engine who didn't think he could make it up the giant hill. That's sometimes how I felt when I thought of everything that was involved in marketing my debut book release with Zondervan. How will I ever accomplish all that I want to do? And what's more, who am I to even try? Though fairly inexperienced with the publishing business, that summer I learned a LOT about promotion and marketing. I thought I'd share with you a few marketing tips that worked for me, some that didn't, and hopefully leave you with a few ideas of your own. From the moment I received my series contract offer in 2008, my mind began churning with marketing ideas. Having read the CAN Marking blog for months and having studied the ideas of many ACFW authors, I had a good idea of what I wanted to do to market my first book. I’d need to schedule book signings, visit bookstores, create bookmarks, etc. But having this knowledge and knowing what to do with it (when you actually have a marketing budget) are two different things. Once I received my advance, I had actual money to work with. Yay! So, I began with a budget. Oh, but wait! After reading through all my notes and research, there seemed to be a LOT of controversy on how much to allot toward marketing. Some authors put all of their advances toward marketing, while others spent hardly any, depending solely on their publishers. If my husband had his say in the matter, a very low percentage of mine would be given to marketing. LOL. After all, if God wanted my book to sell, He'd provide a way. Right? Hmmmm. "Little engine, this hill looks mighty tall. I don't think I can climb this mountain." Did I stay within my budget? I'm happy to report that I did. Next Tuesday, I'll share with you my plans for creating an author web site--what I wanted in the beginning, what I settled for, and how it all turned out. Until then, enjoy the moments AND keep chugging up those hills . . .